AnanovaA 17 year old mugger in Germany tried to take a package of cigarettes from a blind man who turned out to be a world Judo champion. The “victim” grabbed the mugger’s arm, twisted it behind him and threw him face first into the asphalt, then pinned him down until the Polizei got there. September 11, 2007 Posted by oldstersview | Dumb Crook, People	| Comments Off on Surprise! Wow! That was a draining experience! ReservoirOfficials in China emptied a reservoir after residents complained a monster was lurking in its depths. Locals claimed they heard ‘Moo’ sounds coming from the water at night, reports the Western China City Daily.Hongxian township government instructed the Yongfu Hydropower plant to empty its reservoir even though it had only been open for two months. They spent about five days letting the 35ft reservoir run dry – and found nothing more than pebbles.”We had to empty the reservoir, since more and more people were visiting it, and it was dangerous,” a spokesman explained. September 11, 2007 Posted by oldstersview | Dumb Stuff, People	| Comments Off on Wow! That was a draining experience! 6abc.com A lumpy tan-colored root might not look like much — unless you know ginseng.Western Maryland ginseng hunter Roger Welch found the nearly one-pound wild root, which could be worth thousands of dollars. Experts say the ginseng will fetch a premium because it’s probably close to 100 years old. 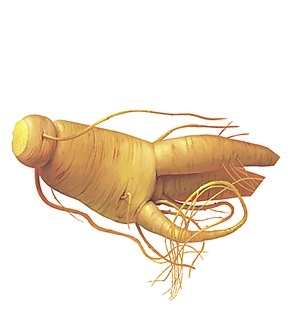 Ginseng’s supposed healthful properties are said to increase with the plant’s age. Welch says it’s the biggest root he’s found in 45 years of hobby ginseng hunting. He says he’ll probably give the money to his wife as a Christmas present. September 11, 2007 Posted by oldstersview | animals	| Comments Off on Cobra guards jewels.